When the loft designs brand identities, the one thing we seek to do above all else, is communicate the truth. We don’t design one-off logos or websites to impress for 5 minutes, we design brand identities that tell a genuine story about the company in question. The problem arises, occasionally, when a company struggles with its overall vision. It is at this stage that we really have to earn our money, trying to grasp something noteworthy with which to communicate. We have always believed that the great brands are built from the inside out and not vice-versa. 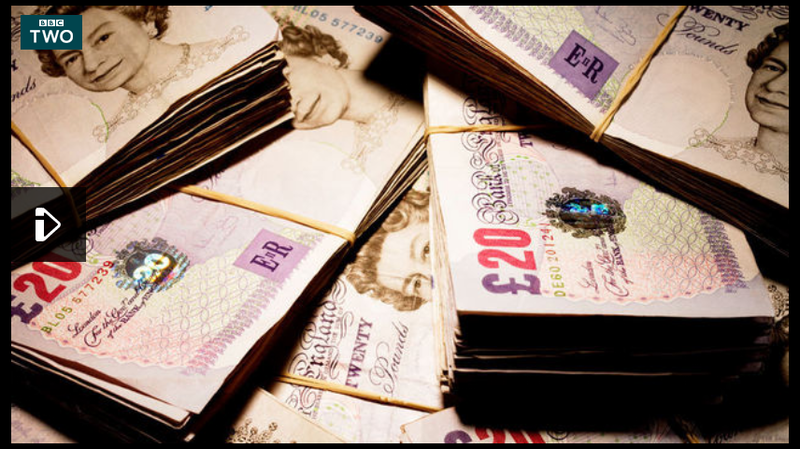 In business, it would be foolish to say that we aren’t all money motivated but its the way we make our money, that is more important. Some companies make profit their master, but the truly great companies are built on a vision and make money the consequence of their inevitable success. Ironically these are the companies that also tend to have truly strong brand identities. Everything they do is a natural consequence to this central vision and not a tactical decision to increase profit. What we have always said about genuinely great brands is that the vision must be absolutely consistent. Whereas most companies see branding as a communication channel – logo, website, literature, etc. Great brands enact their vision and values, naturally applying it in everything they do – including above all else the actual product/service as well as the way they treat their staff, their customers, their suppliers etc. As Innocent showed on Wednesday night, it can be applied in all manner of means. All instilling the vision into every element of the company. On Wednesday night we saw evidence of a genuine super brand. Innocent, who create fruit smoothies, vegetable pots and yoghurts, are the epitome of an incredible brand. I had already learnt a fair bit about Innocent in the last couple of years, about their unique style, one such incident sticks in the mind. 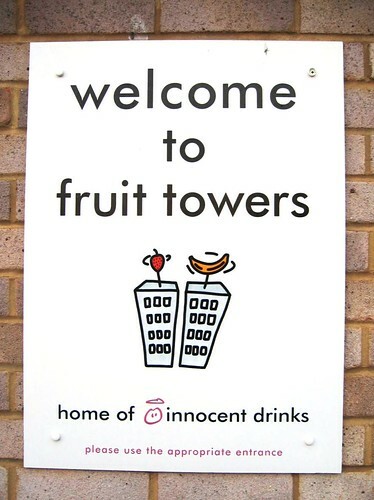 A few years ago, Innocent were on Watchdog as some of their fruit drinks were actually exploding in the shops storage . What should have been a bit of a PR disaster was turned on its head as Richard Reed, one of the co-owners, apologised on show but stated that unfortunately it’s a natural consequence of using real untreated fruit. Real fruit will occasionally ferment causing bottles to explode. What began as a short term problem worked to their long term benefit. Later, things such as calling your building ‘Fruit Towers’ and arranging lunch dates for your new employees to integrate them into the team on their first week only fuelled this impression that Innocent actually are quite a special company. We have been saying for some time that great companies can use the most savvy communication techniques as possible but if the underlying vision is not there, the modern day consumer will very quickly sense the lack of authenticity. So it was delightful to see even more of Innocent and their unique way of doing business the other night. What makes Innocent so amazing as a brand is that they are constantly defining and redefining what the company is about in everything they do. I had never seen the grass van or the artificial grass floor in the office or the dress code or the wall of love. I didn’t even know that they give 10% of their profits to charity. But each and every activity authentically represents the brands main strength, ‘being natural.’ It is so clever and real that it actually transcends the activity of ‘branding.’ I couldn’t agree more when Richard Reed said that all of the world’s great brands have a sense of mission. When one thinks of companies like Apple or Google, it would be difficult to dispute this. Like Innocent, they are also both incredibly successful and profitable. Indeed, when considering the business case for Innocent, it was more than amusing to see ‘the dragon’ Peter Jones trying to comprehend it. For me it seems a no-brainer to behave in the way Innocent does, treating your staff so well and actively encouraging them to participate. Any company’s most important assets is their staff, their workforce. If you can entrust and inspire your staff with the vivacity of your vision, then the staff will undoubtedly give their best work for a cause they believe in. Not work solely for the pay-cheque. Furthermore, if you can sell this vision to the consumers and even the supply chain, as Innocent has done. Then you suddenly have a mightily impressive business model. Think of all of the great brands that you feel something emotionally for and you will realise that most of them stand for something that you yourself can chime with. The beauty with Innocent is that they enact this vision to the core of what they do. Ironically, the Innocent brand is so unbelievably strong because, like them, it is natural. It is more than a brand, it is a movement. The branding is just a natural extension of what the company is. Fruit Towers is the perfect embodiment of a company that transcends the word ‘brand.’ Both the company and their owners are wonderful role models in the joy that can be found in entrepreneurship, in realising your vision and building that vision. Not being driven by profit but by a desire to make a better world. Becoming hugely successful in the process. As somebody who deals with brands everyday, I take my hat off too and salute them. Big huge shout out to Glasgow City Council and associated partners for a mightily successful Glasgow for Business Week. There were many great events, a couple of which I attended, all of them interesting and insightful. It was good to see all of the events so well attended and the city’s business community coming together for each other once again. Finally, today was Armistice day and I thought it only right to pay tribute to the incredible men and woman that fought for our freedom all of those years ago. One thing that has occurred to me is that with every passing year. The level of remembrance and tribute to our fallen heroes is greater, even with the inevitability of time since the second world war. I am not sure if it is simply the prominence of social media that has fuelled this perception but it is a wonderful testament to what those brave men and women fought for and currently still fight for. It makes me hugely proud to be British and to be a part of this society . Lest we forget.